McKinsey periodically releases what they call the “McKinsey Quarterly Five Fifty”. These are insightful and interactive briefings designed to allow the reader to spend five minutes on a topic or to click in to dive deeper and spend fifty minutes on a subject matter. I received one yesterday entitled “Lights Out”, which discusses industrial robotics and automation – an important piece of the technology revolution. Below is a chart from this informative piece. 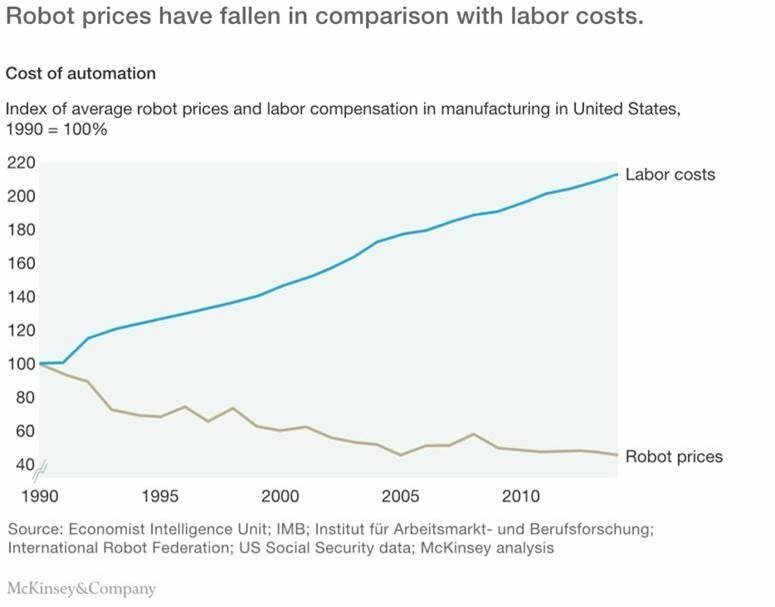 As you can see, labor costs and automation costs are moving in opposite directions. Are we reaching an inflection point in industrial automation? Where will all the displaced humans work? Click Here to Access "Lights Out"
Today, GE was evicted from the Dow Jones Industrial Average. GE was once the world’s most valuable company and was the last original Dow constituent in the Index. The fallen star will be replaced by Walgreens, which is a bit perplexing. Walgreens is hardly a stock market darling, being down since its 2015 peak and in a space many think is being disrupted. 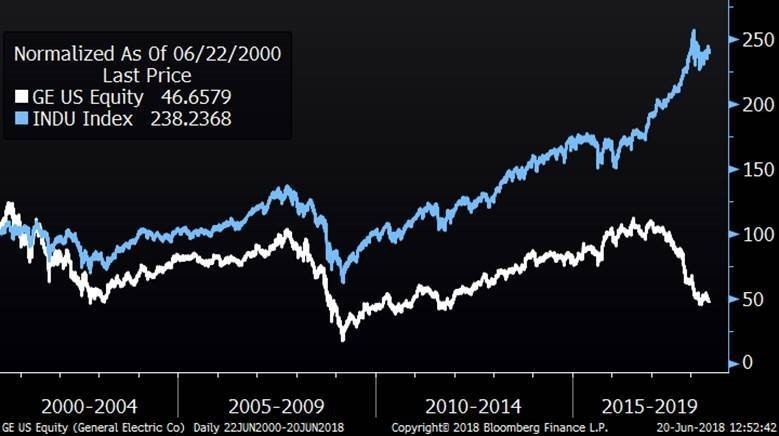 The chart below from shows GE versus the rest of the Dow since 2000 – note the divergence over the past two years.